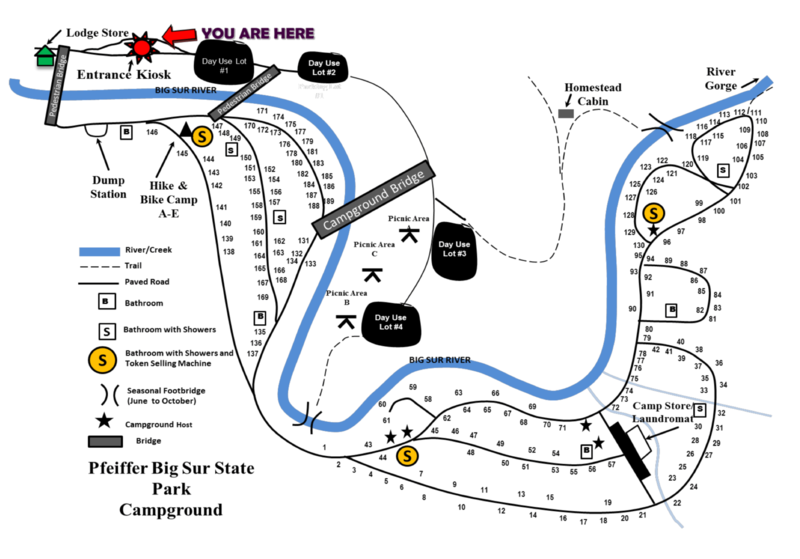 Pfeiffer Big Sur State Park Campground is located on the banks of the Big Sur River and has 194 campsites for tents, trailers and RVs (maximum RV length is 32 feet). This is a very popular Big Sur campground and State Park – often referred to as a “mini-Yosemite”. The campground has drinking water, flush toilets, hot showers, paved roads, camp store, laundromat, dump station, picnic area and WiFi. Each campsite also has a table, fire ring and grate. Group camping is also available. Pfeiffer Big Sur State Park features 1,006 acres of redwoods, conifers, oaks, maples, cottonwoods and alders, pretty open meadows, miles of scenic hiking trails and spectacular views of the Big Sur area. Outdoor recreation includes camping, hiking, biking, swimming, photography, picnicking and fishing. Wildlife viewing is also really nice here. The Park is located about 5 miles from the Pacific Ocean which can be reached by car or by hiking a trail along the Big Sur River to the coast. And don’t forget to spend some time cruising Highway 1 and seeing the sites like Pfeiffer Beach, McWay Falls, the Bixby Bridge, Ragged Point and the various little towns, spas and art galleries. Julia Pfeiffer Burns State Park is also another option. It’s located about 26 miles north via Highway 1. Visted Pfeiffer Big Sur State Park Campground lately? We'd love to hear about your adventure. Did you find us useful? Did we forget something? 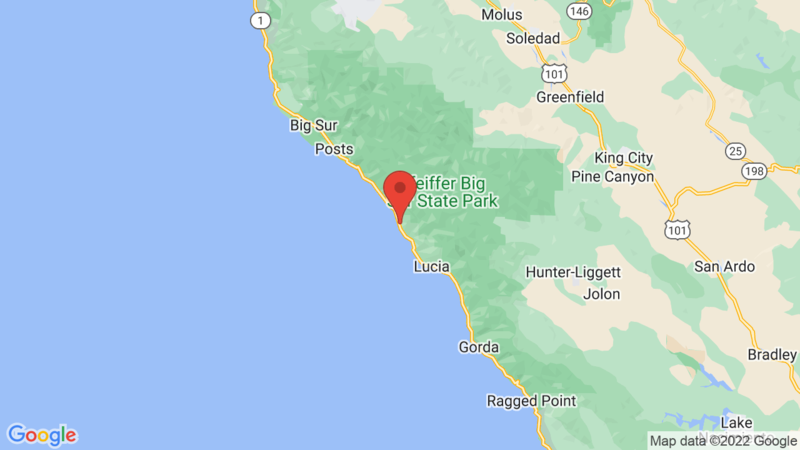 Anything our community should know before heading out to Pfeiffer Big Sur State Park?